Coughing all the day and night not only spoil your sleep but also make you weak. 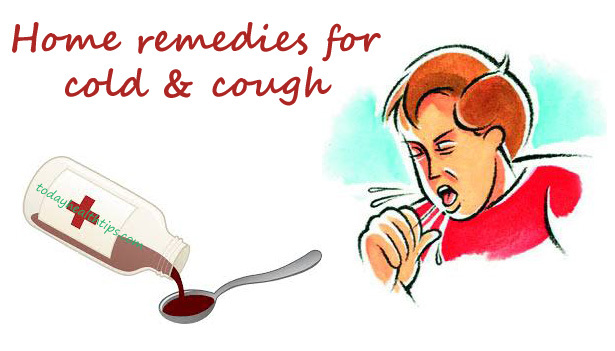 So, to avoid such restless condition use Homemade cough syrup which is simple to prepare and use. In general, we use the cough syrups containing codeine which acts as a mild sedative. So, it just allows you to sleep well but, it does not eliminate the root cause. So, Instead of seeking an instant help in form of chemical cough syrups, opt for the treatment for coughing which is safe for your body. There are many cough syrups available readily. But, do you know all of them contain a drug called codeine? Codeine is an opiate which can treat mild to moderate pain. It is not safe to use for kids under 12 years. Also, codeine dependence is the most common adverse effect. So, it is better not to have codeine-containing drugs even for treatment. Many simple homemade drugs can provide a better relief from cold and cough. Here are the DIY cough syrup recipes which you can make quickly. So, prepare a homemade cough syrup for kids and give them ad directed. In simpler terms, it’s our grandma’s cold recipe. In olden days, our ancestors use to prepare their cough syrup to treat the common cold. Ginger cough syrup is a potent remedy to treat the common cold. The ginger helps in flushing out the toxins from our body and also treat dizziness, nausea efficiently. Honey in the cough mixture recipe soothes a sore throat, and it is a natural cough suppressant. The viscous honey can cut the phlegm and relieves you from throat irritation. Also, the lemon is added to balance the tartness of the lemon and spiciness of the ginger. In this Honey Ginger cough syrup, we can also add the lemon juice. The lemons are rich in Vitamin C and make our immune system strong. The lemons can destroy the free radicals in your body and reduce the swelling and inflammation. So, know the recipe for homemade cough syrup. Take fresh ginger and clean it well with water. Remove the outer peel or skin and cut the ginger into pieces. Make a fine paste of the ginger without adding water and extract the juice just by squeezing it. Then add a little amount of water and again blend it and squeeze out the juice. To this add the specified amount of lemon juice after removing the seeds from it. Mix both the ingredients well and then add raw honey and stir well. Later, pour them into a clean and dry container and store for further usage. Take a 5-inch piece ginger and cut it into pieces. Boil 3 cups of water and add these ginger pieces to the boiling water. After boiling for 20 minutes, strain the ginger decoction and let it cool down. Then add lemon juice collected from 2 medium sized lemons. Also, add raw honey about a 3/4th cup and mix them well and store it in a container with a tight lock. For the children of 1-5 years age- ½ to 1 teaspoon for every 2 hours. The children of 5 to 12 years age should take 1 to 2 teaspoons every 2 hours. In a clinical study, it is proven that a single dose of honey syrup and a single dose of dextromethorphan was equally effective in relieving cough in children. So, prepare this Homemade cough suppressant and relieve your child’s cough symptoms. Cinnamon is a sweetish spice with anti-microbial properties which can kill various flu-causing microbes. So, use cinnamon syrup drops to treat the flu and common cold in children. Mix all the specified ingredients in mentioned quantities. Do, not heat the ingredients as the essential properties may lose on heating. Store it in a container with a tight lid. For children below five years and above one year, give one teaspoon thrice a day. Just like ginger, the dried ginger also exhibits similar properties in the treatment of a cough. But, this is a much tasty version of the ginger tea. For those children who are feeling difficulty in drinking Ginger cough syrup can drink this. The dried ginger is effective in treating the phlegm. The dried ginger is effective in treating the phlegm. Instead of making this cough relieving tea you can mix dried ginger powder and honey and eat as such early in the morning to prevent a cough in the winter. This Homemade cough syrup is more potent than various drugs which possess side effects. Here is a simple method of preparation of dried ginger tea for treating the cold in the best way. Know a diy cough relieving recipe and get relief. It is an Ayurvedic home remedy for cough which can even treat various digestive problems. Take one inch dried ginger piece and grind it into a fine powder. Take a teapot and add 2 cups of water and the dried ginger powder to the boiling water. Add a pinch or two of pepper powder and add to the boiling water and let it boil for 15 minutes. Then add 75gm of crushed jaggery or cane sugar to the boiling mixture and turn off the flame within 2 minutes. After turning off the fire and filter the contents to collect the ginger tea. Then add the prescribed amount of milk to the decoction and stir well. Serve this milk or tea in a hot condition. For the children below five years give an amount of nearly 150 ml twice a day. Giving this before bedtime can let your child sleep peacefully. The children above five years can have 200 to 250 ml twice a day. For adults and children above 12 years old can drink 350 ml of dried ginger milk twice a day. 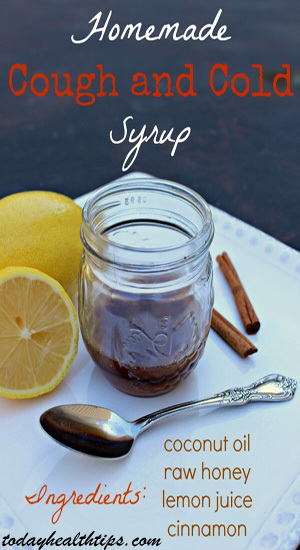 So, these are the simple Homemade cough syrup recipes that you can give a try. These are the best home remedies for cough for kids and toddlers. Do not give these cough syrups to infants below one year as they may not find it easy to digest. Also, Consult doctor if any irritation persists.